Barkin' Biscuit, LLC is dedicated to providing healthy treats for the love of your dog. Know what your dog is eating! Barkin' Biscuits do not contain fillers, additives, or preservatives and are free of all by-products. 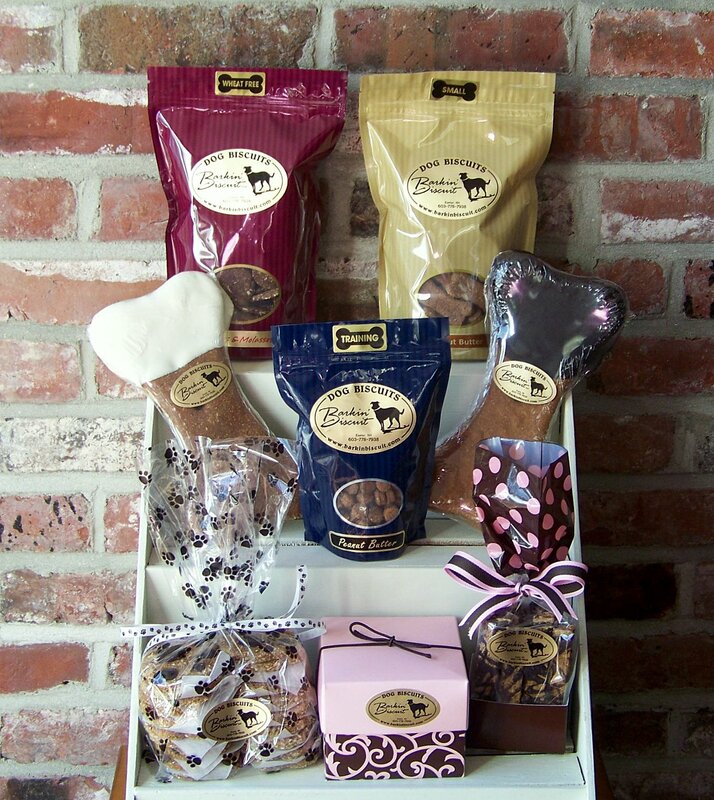 Barkin' Biscuit is focused on selling a high quality treat that is a welcome addition to a dog's every day diet. Horses love our treats too! We use simple and basic ingredients that have been carefully chosen for quality, taste and nutrition. Our treats have all been quality tested for guaranteed analysis by a professional forage laboratory. Barkin' Biscuits are registered under the commercial feed law, RSA 435:17-31 by the State of NH Dept of Agriculture. The business started in a household kitchen as a way to make some extra money by selling homemade biscuits to other dogs deserving healthy, tasty treats. We found that the desire to provide canine, and equestrian, family members with simple, all natural, vegetarian biscuits has been a growing trend. In developing our wheat free and low fat treats, we have been able to provide more options for our customers with pets who have "special dietary needs". Barkin' Biscuits started in 2004 and has turned into a thriving business thanks to the support of our loyal customers! EVENTS - We would love for you to visit these events. Come drop by and say hi to us!